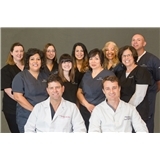 ENT Specialists of Austin (formerly Fyfe ENT) (Austin) - Book Appointment Online! We pride ourselves on providing the best ENT care available while keeping our focus and priority always on the patient. Our staff is caring and compassionate and unlike the big box clinics, we treat our patients as we would our families. If you cannot find an available slot on ZocDoc, please call our office directly. Dr. Nason is a pleasure to see. He is nice, polite and he listens to what you say. His technical abilities are also very good. Our whole family goes to him now. Dr. Taheri is awesome. He is super polite and makes you feel like he just saw you yesterday even though it's maybe been a few months. He is a good listener especially for a patient that knows what they need (what medicine works best, etc.). Can't recommend him enough! I was very well taken care of! Took his time to look over my test results, gave straight forward answers, answered any/all questions I had.